Good afternoon everyone! I am very excited about the polish I have to show you today! I love it so much that I have worn it 3 times already! 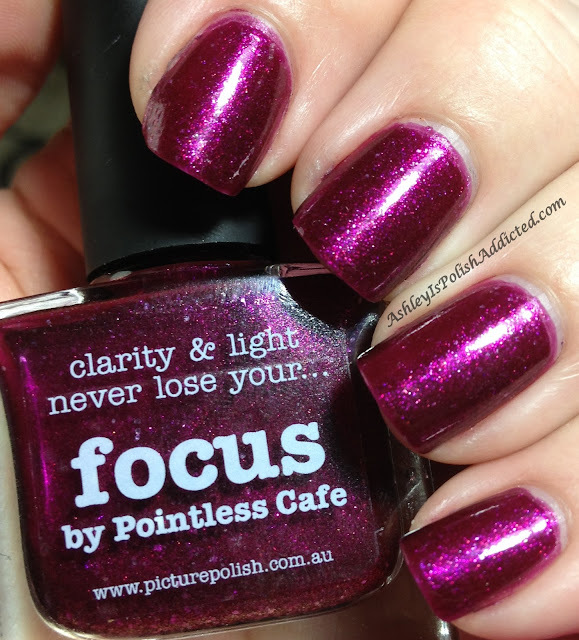 My amazing friend Sheila from Pointless Cafe was one of the bloggers chosen by piCture pOlish (participants were chosen based on their piCture pOlish Blogfest posts) to create her very own polish shade and I think she created quite a stunner! 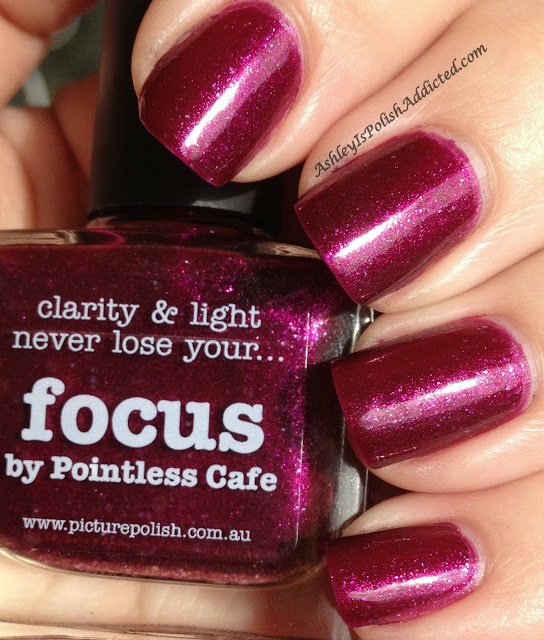 It was originally a limited edition shade but it sold so well that it was announced last night that piCture pOlish would be adding it to their permanent line! 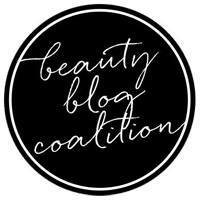 This is great news for anyone that hasn't been able to snag a bottle yet (or may want a backup or two.... like me). 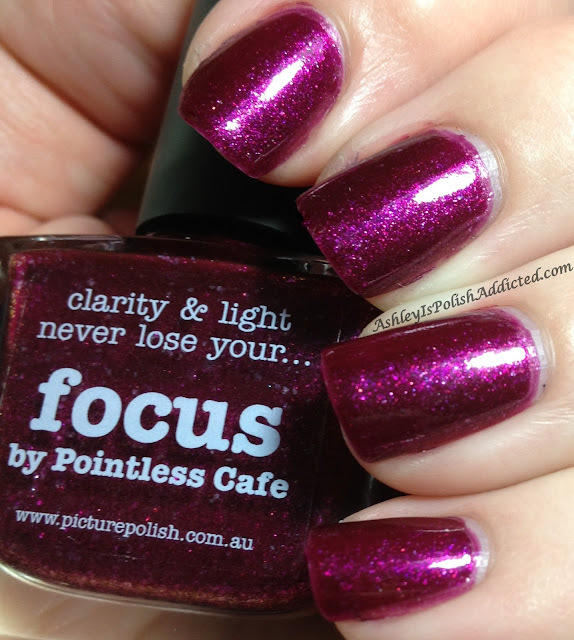 Focus is a gorgeous deep red/violet shade the is packed full of iridescent micro-flakes that absolutely glow from within! *SWOON* The formula was great - I had absolutely no issues at all. 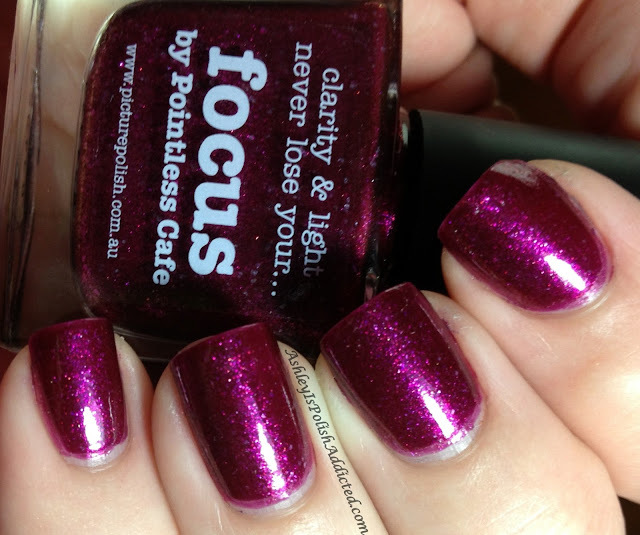 I would call this one a crelly - it's more opaque than a jelly but still sheer enough that the micro-flakes shine through. Since I have worn this multiple times already, I can tell you that on shorter nails it is opaque in two coats and on longer nails you will generally need a third. One coat of top coat and you're good to go. 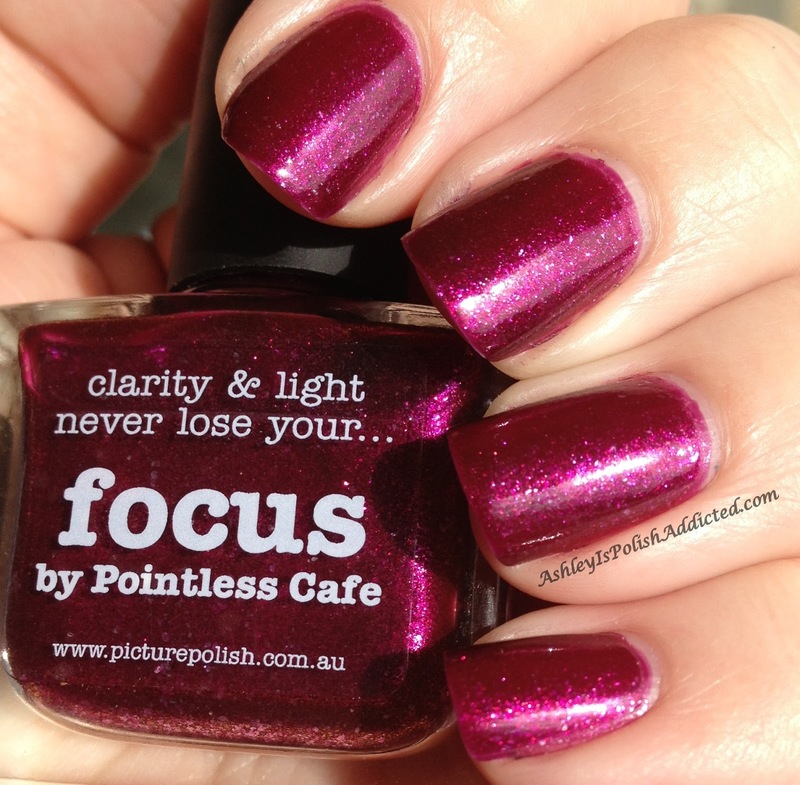 I have a lot of photos of this one (under various lighting situations) and none of them do this polish justice. It is definitely one of those polishes that you have to see in person to truly appreciate. Isn't it gorgeous?! To see more photos you can visit Sheila's post (HERE) where you can see her photos as well as links to other bloggers who have posted Focus. Gorgeous!! Love your signed bottle. I love how she signed your bottle. :) I also know what I'm putting on my nails tonight, thanks for the inspiration! Super gorgeous! 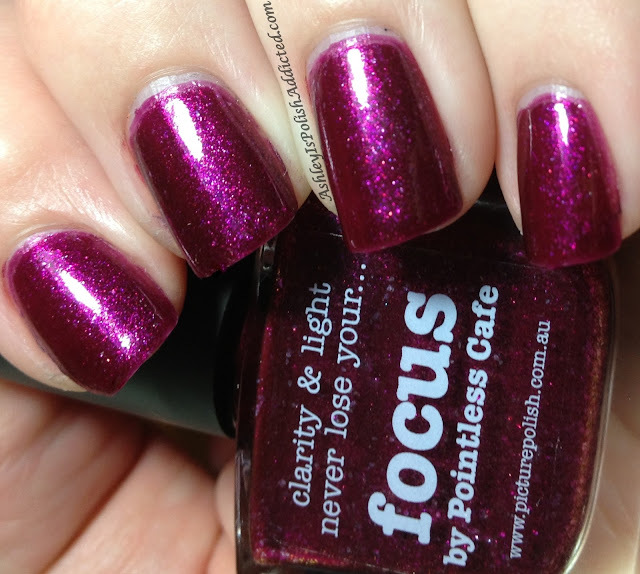 My bottle of this arrived this week, so I will be wearing it soon! WOW!!! This is deff a stunner!!! And it looks SOOOOO pretty on you!!!! !